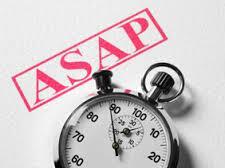 “Time is of the essence.” That poetic reference to urgency did not originate in literature or on the stage but, in fact, as a legal term indicating an impending deadline. For companies cultivating B2B leads, some incredible new research gives that phrase added resonance. Based on the results of an expansive study, when a new prospect is researching your business online, you have minutes –perhaps just seconds- to convert that individual into a richer lead. And the likelihood of that conversion dwindles with every passing second. This information confirms what we’ve long-suspected about the diminishing attention span. There are so many choices available to us –sources peppering us with facts, figures and statistics- that when someone lights upon the resources we’ve posted out there in the ether, we don’t have long to engage them further, pique their curiosity, and draw them into an investigative mode of their own choosing. As much as we may resist the unctuous salesperson that descends upon us as we enter a retail store, we must not compare that experience with lead conversion, and we must convince ourselves that the visitor to our website right now must be contacted immediately, or potentially be forever lost. 1. Call leads fast—really fast. When a lead is called within 5 seconds, odds of qualifying them are 29% higher than if the call is made within 5 minutes. This speaks to the core of decision-making that results in the impulse buy. If you don’t convert the prospect to a secondary tier of contact when and while they are interested, you may not have a second chance to capture them. 2. Tuesday through Thursday is the best time to reach buyers. Leads that come in Tuesday through Thursday qualify at twice the average qualification rate for other business days. While this fact is not as eye-opening –Monday’s are often gear-up days, while Friday’s are wind-downs—it’s still surprising that the three mid-week days of business yield twice the results. 3. Don’t underestimate the opportunity around the holidays. 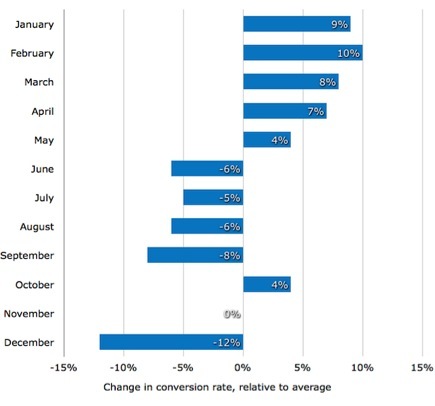 The week before Christmas is surprisingly active for conversion and qualification rates. Let’s break down qualification rates in intervals of seconds as expressed in point #1 above. Of course, we are talking about web-generated leads that require some back-end technology, allowing you to track your visitors’ footprints on your site, and that enables you to contact them immediately upon their request for further information. One of the first industries to adopt this instantaneous approach of response to consumer interest was the auto insurance business. Third-party brokers and lead generators create email campaigns and web ads providing free quotes on reduced insurance rates. Once a prospect responds to a call-to-action requesting a modicum of personal information, the consumer will begin receiving phone calls and emails within seconds from five, six or more insurance providers. With customers who are genuinely interested in changing their carrier or coverage, this instantaneous lead prospecting yields atypically high results. Remember, you can and should have multiple calls-to-action on your website to which your prospects can respond. And not all deserve an immediate call. If a lead completes a form to contact you directly—requesting a price quote, product demo, or further information—then you should call them immediately. However, if a prospect is identified by completing a form to download an e-Book, a white paper, attend a webinar, or view video content, you should nurture the lead through a nuanced content marketing strategy. Software Advice’s research also upheld the traditional belief that the early months of a new year, when budgets are replenished and robust, are the best time for B2B activity. Software Advice’s article goes on to provide similar statistical breakdowns on lead conversion and buyer activity by days-of-week, time-of-day, seasonally and more. Of course, all businesses are unique and individual results may vary. But these numbers show the value of the investment in the technology and processes for tracking your web-generated leads that are most likely to convert, and the need for fast responsiveness. Imagine Business Development’s clients and partners have access to these tools through our alliance with Hubspot and we’re always happy to show you how this advanced approach to lead generation and conversion can help your enterprise.